Djonne agate from Mali marked "possibly Neolithic"
The deer antler curved so nicely around the neck it seemed to want to be made into a necklace. I bought it at an Indian trading post, the deer was probably taken respectfully for food. Many people carve antler, perhaps that is why this one was available. 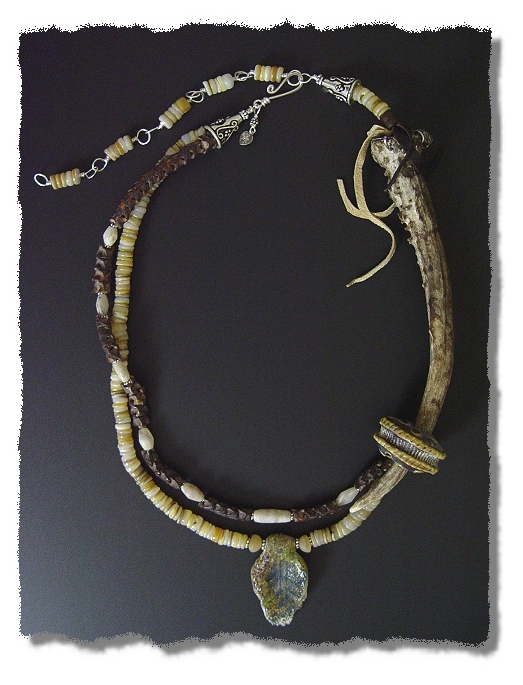 Antler has long been used in Native American adornment for toggles, beads, charms, purse handles, etc. I honored the deer by attaching the antler with a reticulating silver mount and by adding beautiful beads, shells and snake vertebrae. 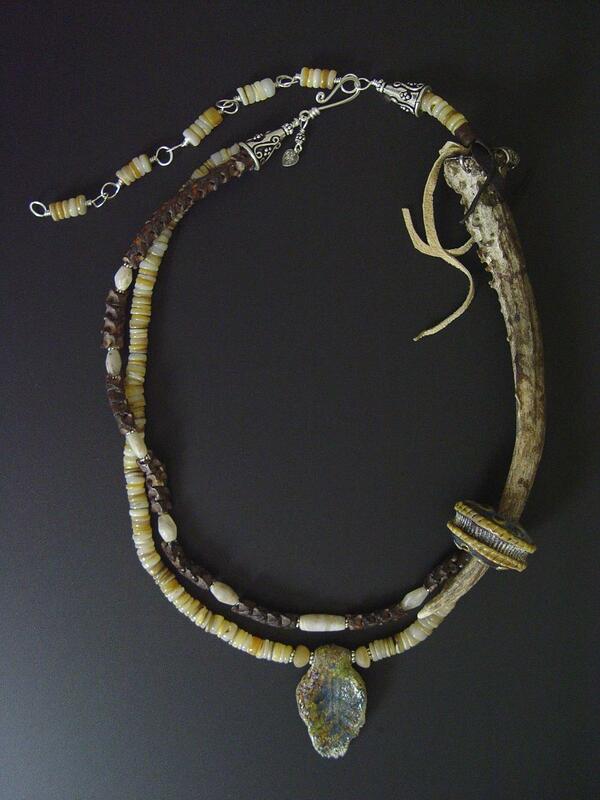 The vertebrae are from Africa where people have long used these fascinating bones in jewelry. Karen Ovington's glass beads seem as organic as the other materials. And why is the tip of the antler decorated with one of Karen's beads? I couldn't help myself. I took it off 100 times and put it back on 101 times. Sometimes you must allow things to arrange themselves. I hope you will enjoy their collaboration!